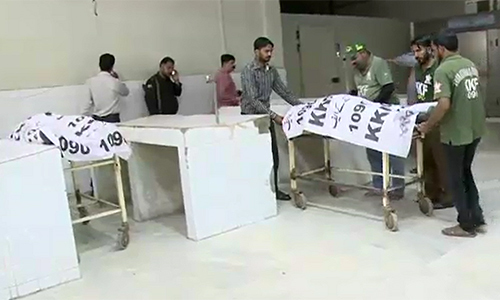 KARACHI (92 News) – Two policemen were shot dead by unknown gunmen in Karachi’s North Nazimabad area on Tuesday. One of the cops was identified as Shahnawaz. IGP Sindh Ghulam Haider Jamali said that the martyred cops used to perform duty with the lawyer of Wali Babar murder case.